On April 22nd, 1970, Wisconsin Senator Gaylord Nelson created Earth Day to raise awareness about environmental pollution. Nearly a half century later, Earth Day has reportedly become a global event, attracting nearly 1 billion people to service projects and celebrations. Over these past 50 years or so, scientists have been making important discoveries about our home, and their work provides us with the best reason to celebrate Earth Day: Our planet is unique in the universe. Earlier this month, the online journal, Nature Astronomy, reported scientific efforts to identify “haze” on distant planets. 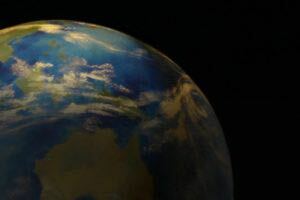 Sarah Hörst, assistant professor of Earth and planetary sciences at Johns Hopkins University, said, “One of the reasons why we’re starting to do this work is to understand if having a haze layer on these planets would make them more or less habitable.” Scientists like Hörst hope to someday discover a planet capable of supporting intelligent life. Harvard astrophysicist Avi Loeb thinks there may be many such planets in the universe. Loeb believes “We humans are probably not special.” Given the number of possible planets in the universe, Loeb thinks alien civilizations are likely to exist on planets similar to our own, but so far, scientific efforts to discover other life-supporting worlds have been fruitless. In yet another article published this month, Cardiff University astronomers, Jane Greaves and Phil Cigann explain why it may be so difficult to find other planets capable of supporting life like ours. Dr Greaves reports “there may be a cosmic lack of a chemical element essential to life.” That chemical in short supply is phosphate. Scientists are surprised at the rarity of phosphorus in the universe and even more surprised to find it here on our planet. Anthony Keefe and Stanley Miller conducted a number of historic experiments to explain the presence of phosphate on earth. They tested a variety of chemical compositions they expected to exist on the early earth, but nothing they tried produced the amount of phosphate needed for life to exist. Phosphate is rare in the universe, and surprisingly unexplainable on our plant. Earth is a one of a kind, unexpected marvel. 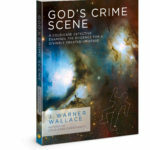 As I describe in God’s Crime Scene, our planet happens to be positioned at just the right distance from the sun, tilted at just the right angle, and rotating at just the right speed. We have an atmosphere that is also just right: favorable to life and held in place by a gravitational force strong enough to maintain its composition. Our planet also happens to have a terrestrial crust that is just thin enough to allow the right amount of oxygen while thick enough to prevent pervasive earthquakes. This crust contains all the right “life-permitting” elements – including, surprisingly, phosphate. While the number of planets in the universe may be large, the odds against any of them possessing these vitally fine-tuned characteristics is larger. It’s as if someone cheated the odds. Rigged the game. Tampered with the chemistry. So as April 22nd roles around each year, don’t hesitate to celebrate Earth Day. Take a minute to marvel the handiwork of God. There’s no place like home, and there isn’t another like ours anywhere in the universe.